Coffee snobs aficionados will tell you that you can’t make great coffee if you aren’t grinding the beans yourself, and they’re not totally off base. The quicker you go from whole beans to liquid coffee, the fresher it will taste. But nearly as important is the consistency of the grind; you really want each piece of ground coffee to be roughly the same size. That’s where the Baratza Virtuoso comes in. 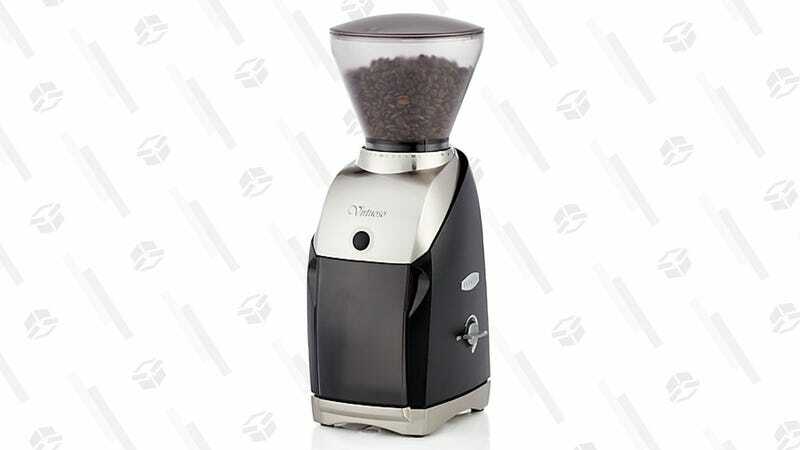 Long revered in coffee circles for offering one of the most consistent grinds out there, you can score a rare deal on it from Crate & Barrel today. It’s still an investment at $189, but if it breaks your coffee shop habit, it’ll pay for itself.